Final Fantasy 14's latest event is getting a guest appearance from Final Fantasy 15's Noctis Lucis Caelum, where players can earn some sleek FF15 rewards. Final Fantasy XIV has been bringing the franchise's penchant for RPG storytelling to MMORPGs for several years, but crossovers with other games in the series hasn't been a common idea. In fact, Final Fantasy crossovers, in general, are rare occurrences. 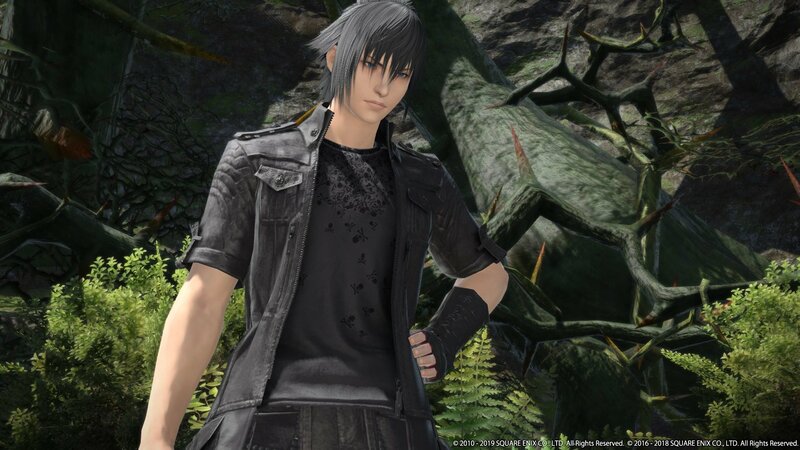 On Tuesday, one of those rare occurrences took place, as Final Fantasy XIV kicked off a special collaboration event called A Nocture for Heroes, centered around Final Fantasy XV protagonist Noctis Lucis Caelum. This special event is called A Nocturne for Heroes and sees Noctis pay a visit to the world of Hydaelyn. Noctis will join forces with the Warrior of Light, as players face off against numerous magitek infantry, magitek armor, and take part in an epic rematch against the primal Garuda. Just taking part in this mission will take quite a bit of work. This mission is only open to Level 50 players who have completed "The Ultimate Weapon" quest. However, the rewards will prove worthwhile. Completing A Nocturne for Heroes will reward some sweet Final Fantasy XV-themed loot. 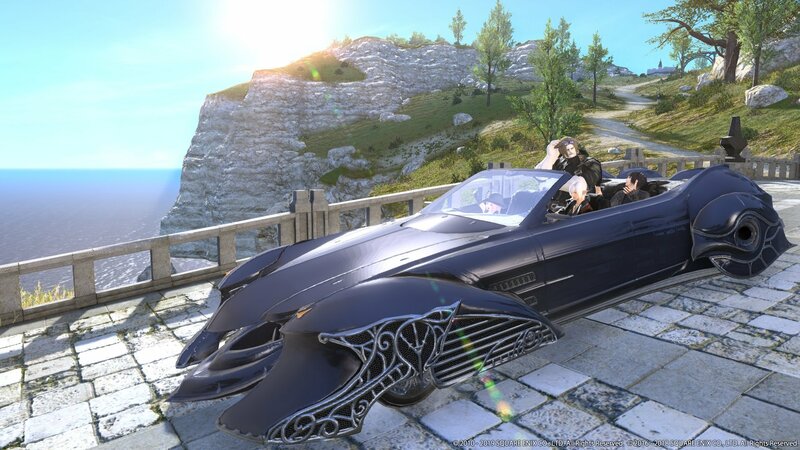 That includes the Regalia Mount, which is not only a cool replica of the Final Fantasy XV car, but also acts as Final Fantasy XIV's first ever four-person mount. Players can also unlock Noctis' hairstyle and outfit, a Noctis Lucis Caelum Triple Triad Card, and music from the Final Fantasy XV soundtrack. This is not the first time that the Final Fantasy XIV player base has crossed paths with the lead characters of Final Fantasy XV. Back in November, Square Enix revealed a special event called Adventure from Another World, which saw the heroes of Final Fantasy XIV join forces with the lead characters of FF15 to stop Garuda. This is part of the big lead-up to Final Fantasy XIV's third expansion, Shadowbringers. That is set to release on July 2. A Nocturne for Heroes will continue from now through May 27. More information can be found on the Final Fantasy XIV Lodestone.